To get an estimate of how many wedding invitations to order, count by households–not by the number of guests. You don't need one wedding invitation for every guest invited. Many brides (myself included!) order invitations based on head count and end up with way too many extra "keepsakes". In a nutshell, if you invite a total of 200 guests to your wedding, you don’t actually need 200 invitations. You’ll may only need half of that. Once you have the number of households counted, add at least 10 extras to your total. You may even want to add 20 extras–just in case. While ordering the exact amount of wedding invitations might save you money, it is costly to order reprints at a later date. It is more expensive (per piece) to print small quantities of stationery. Many stationers may have a minimum order quantity, too. While 10 extras may seem unnecessary, they come in handy for several reasons. Wedding invitations are one of the few tangible keepsakes you can keep for many years to come, just like your wedding dress, your vows, your garter. They are a part of a love story that you will want to celebrate forever. I recommend keeping at least 2-3 copies for yourself. Your mom might also want her own keepsake! 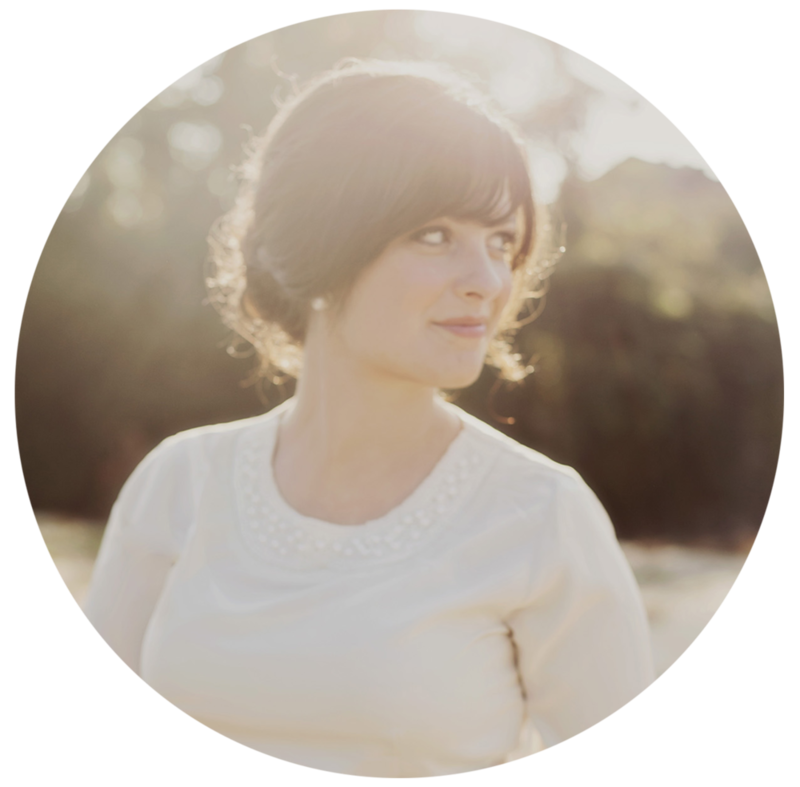 Give at least one invitation to your photographer to photograph at your wedding. This deserves a post all on its own, but your wedding invitations truly complete your love story so be sure to add it to your shot list. Invitations are the first impression everyone will have on your big day, and it really makes your wedding official. It doesn’t matter if you only spent $10 on your invitations or $5K–it’s a celebration of where you are in life and part of what makes you both unique. Invitations may get lost in the mail. Your mom might add more people to the guest list. These are both common situations I’ve seen many times over the last five years. Trust me, you’ll thank yourself later if you come prepared for unexpected emergencies! If you are hiring a calligrapher to address your invitations or plan to DIY, order at least 20% extra envelopes in case of mess-ups. For example, if you are ordering 100 invitations and plan to have a calligrapher address your envelopes, order at least 20 extra envelopes. If your stationer will be printing addresses on your envelopes or if you are using envelope labels, you may not need to order any extra envelopes. No guest list? No problem! Maybe it’s early in the wedding planning process, but you would love to get a general estimate of how many wedding invitations to order. Or maybe you have your guest list finalized, but you aren’t sure who gets an invitation. Quickly figure out who (and who doesn’t) need their own invitation. Ready to dive in? 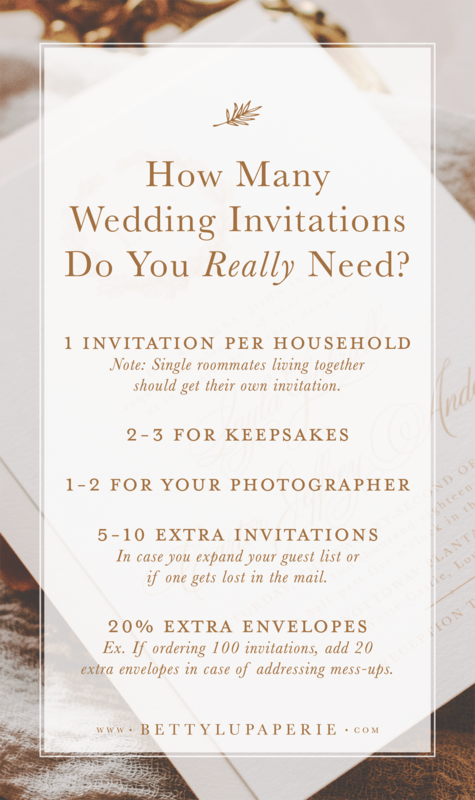 Download the worksheet to finalize your guest list and learn exactly how many invitations to order–no matter where you are with planning.